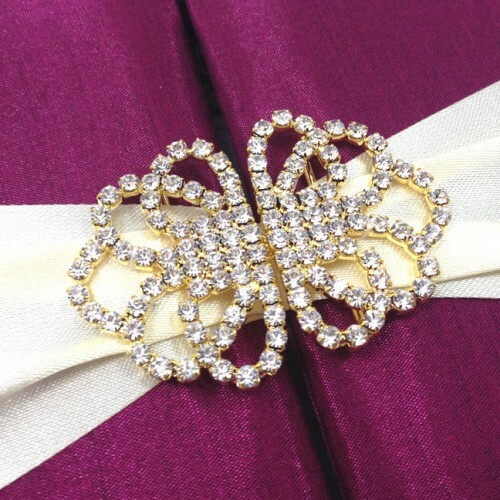 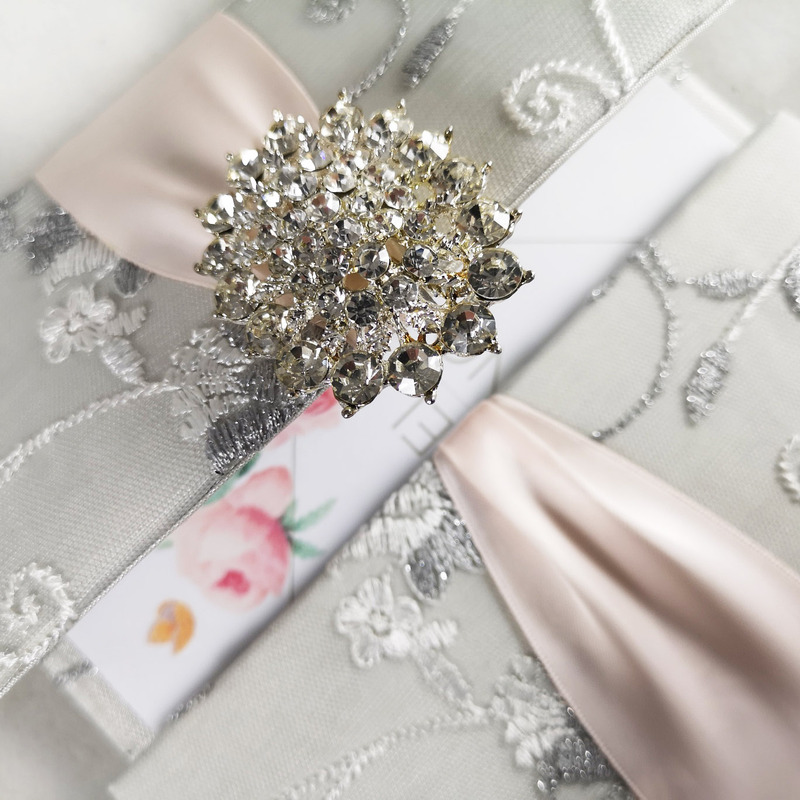 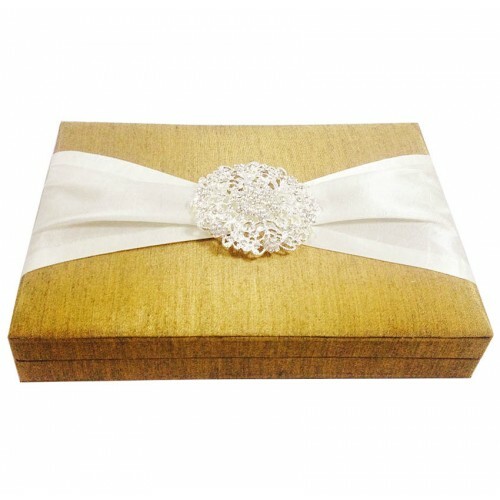 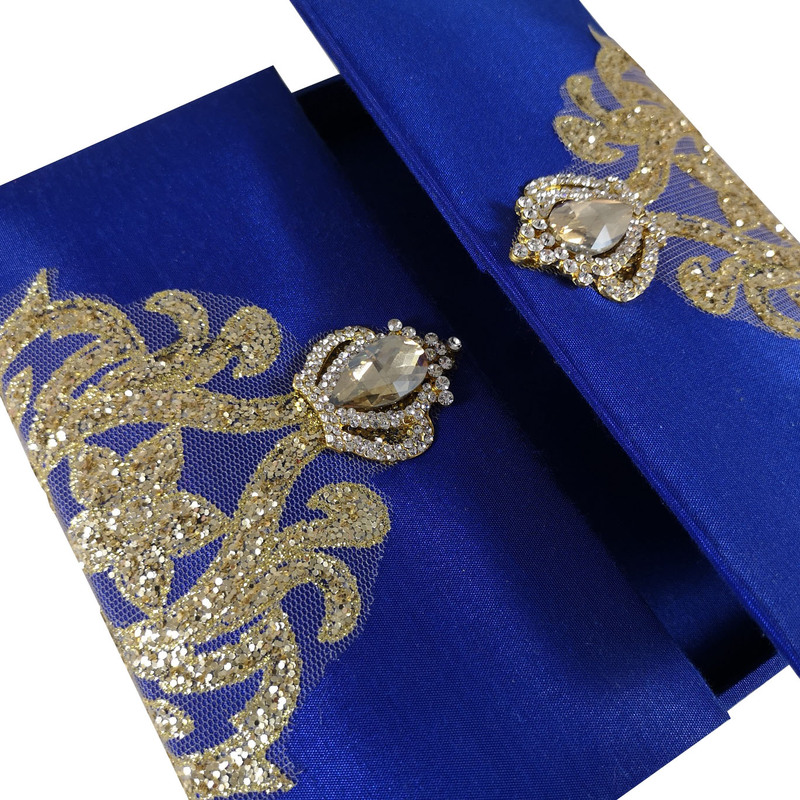 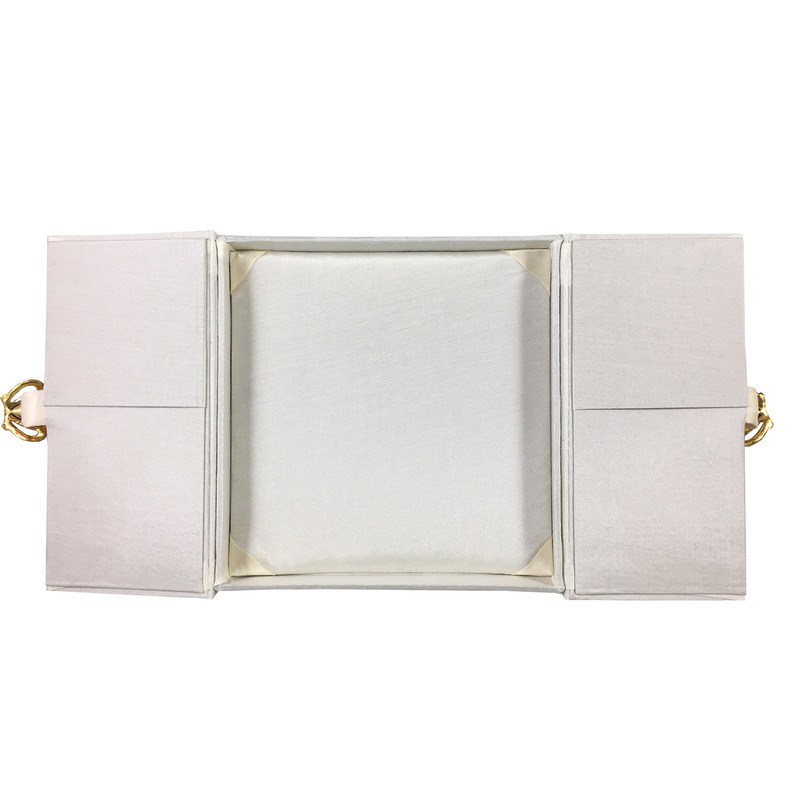 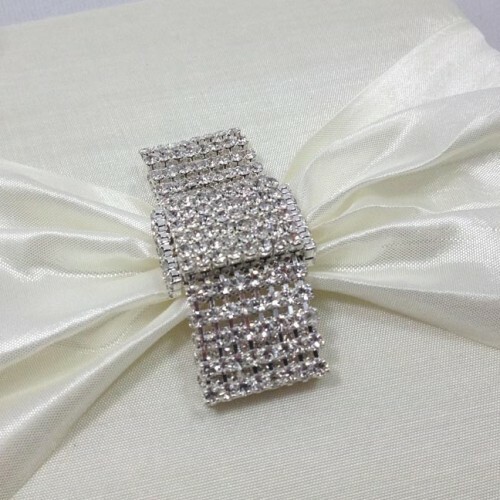 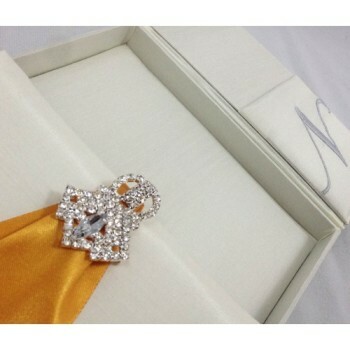 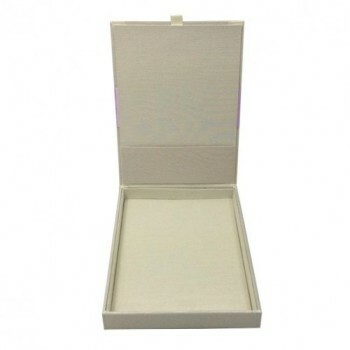 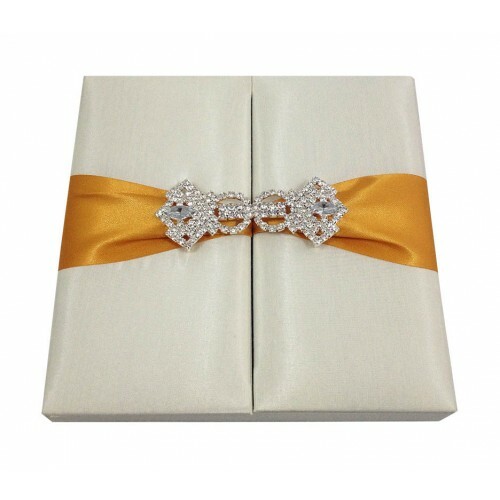 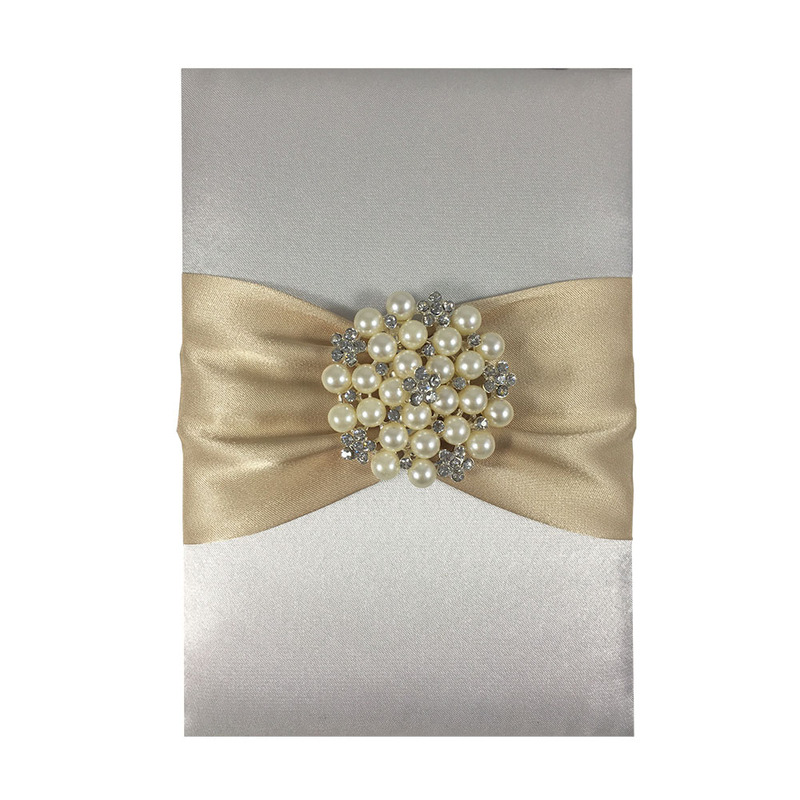 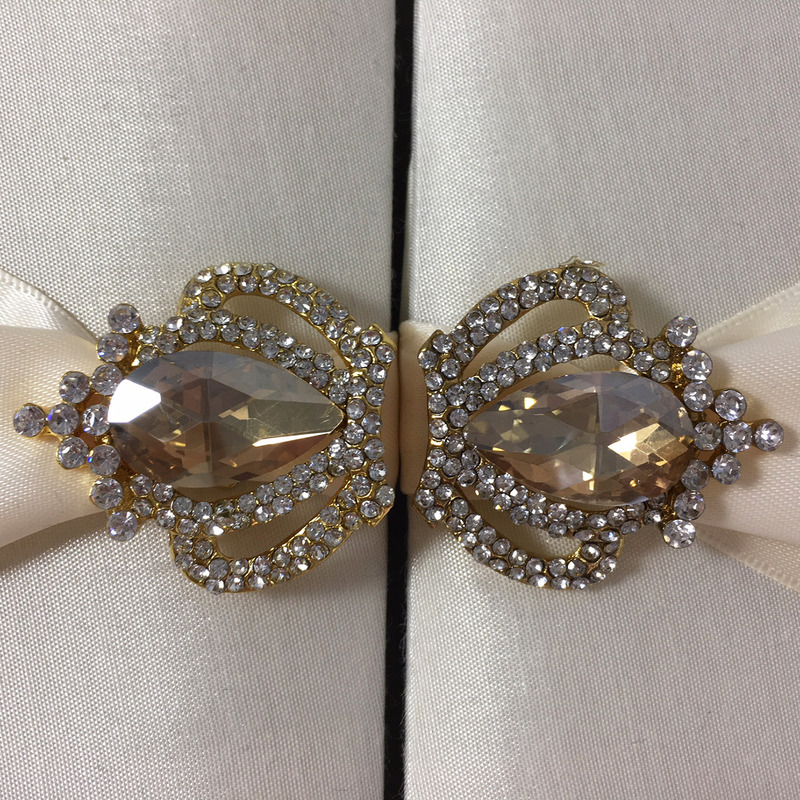 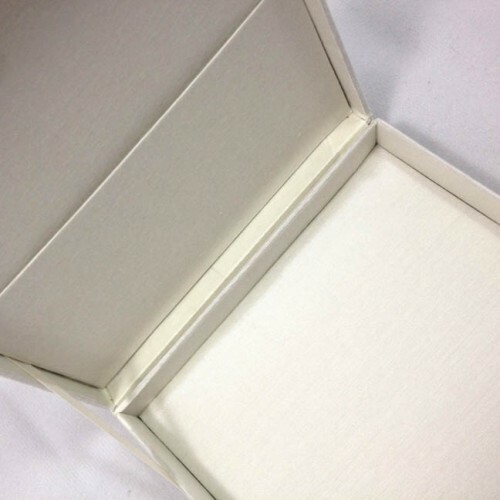 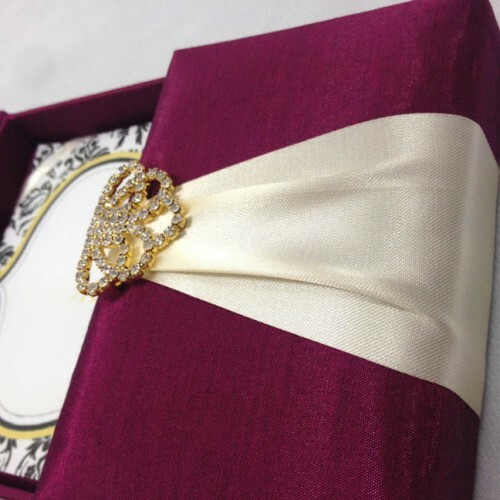 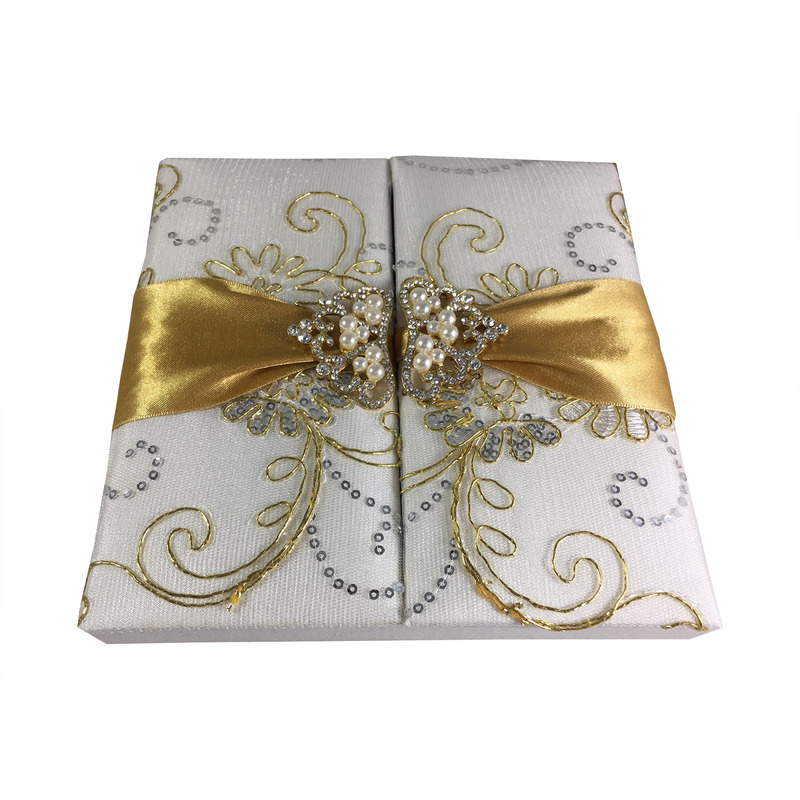 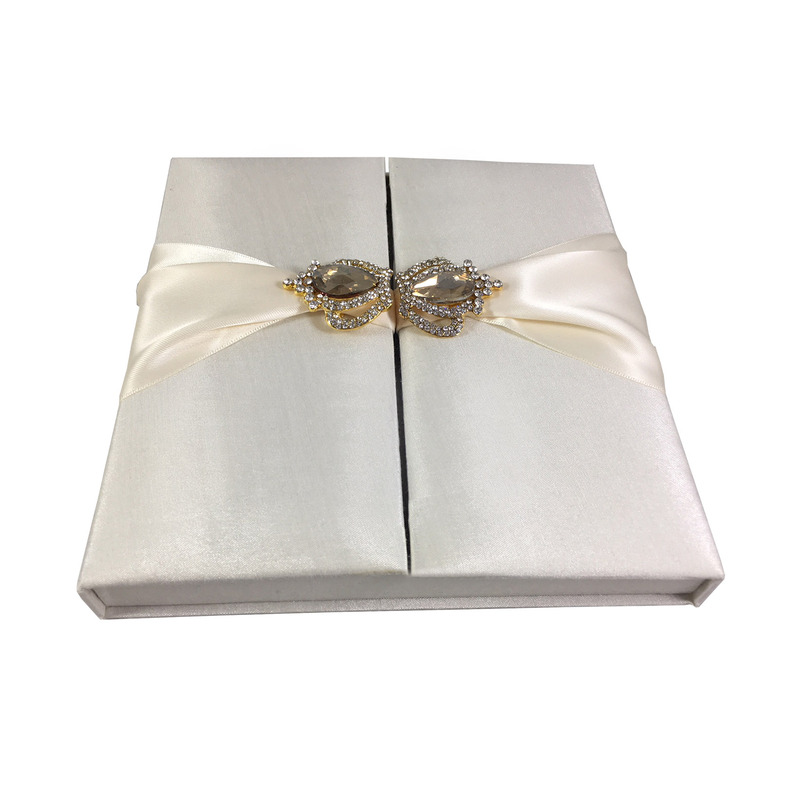 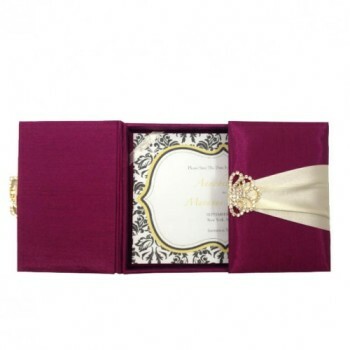 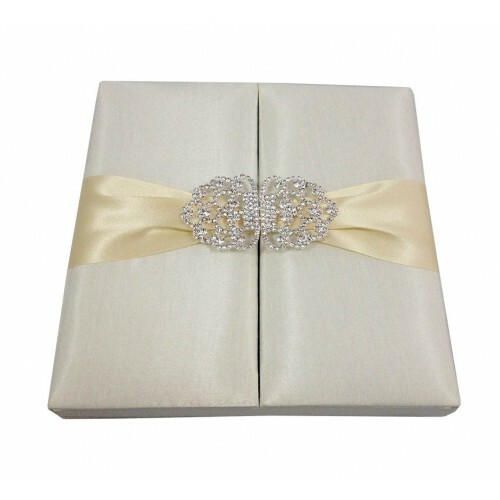 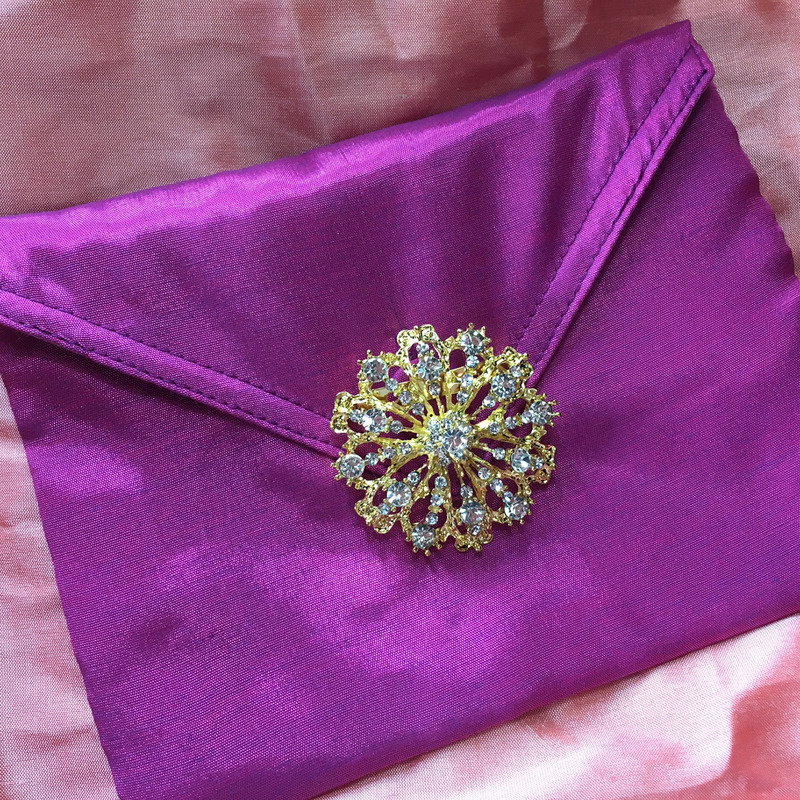 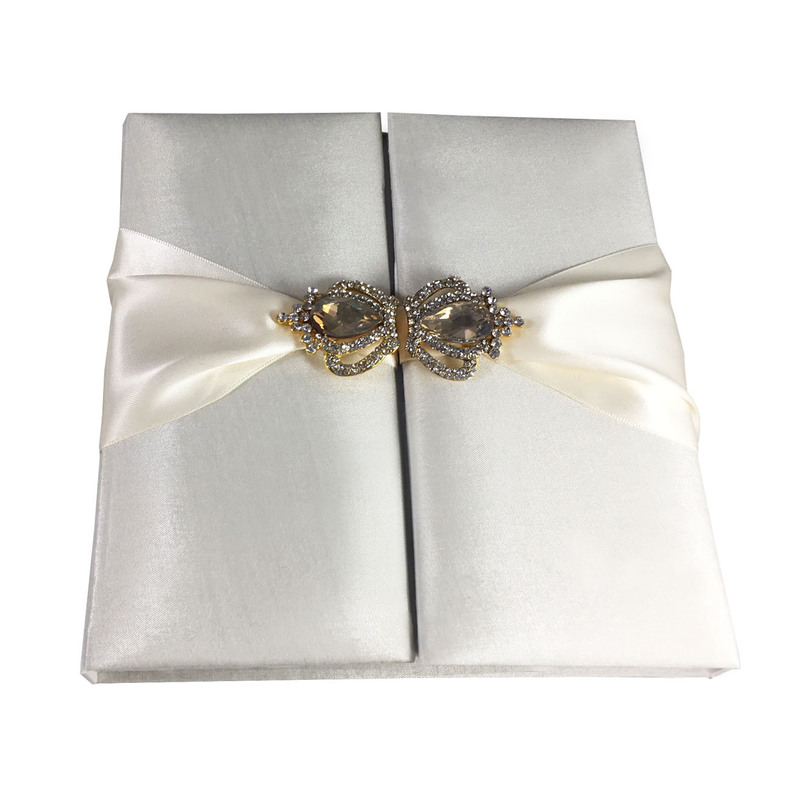 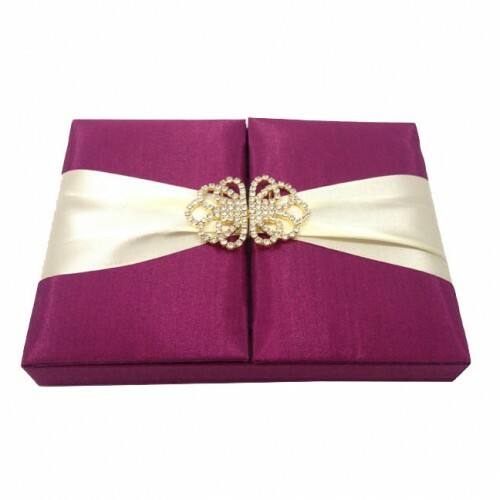 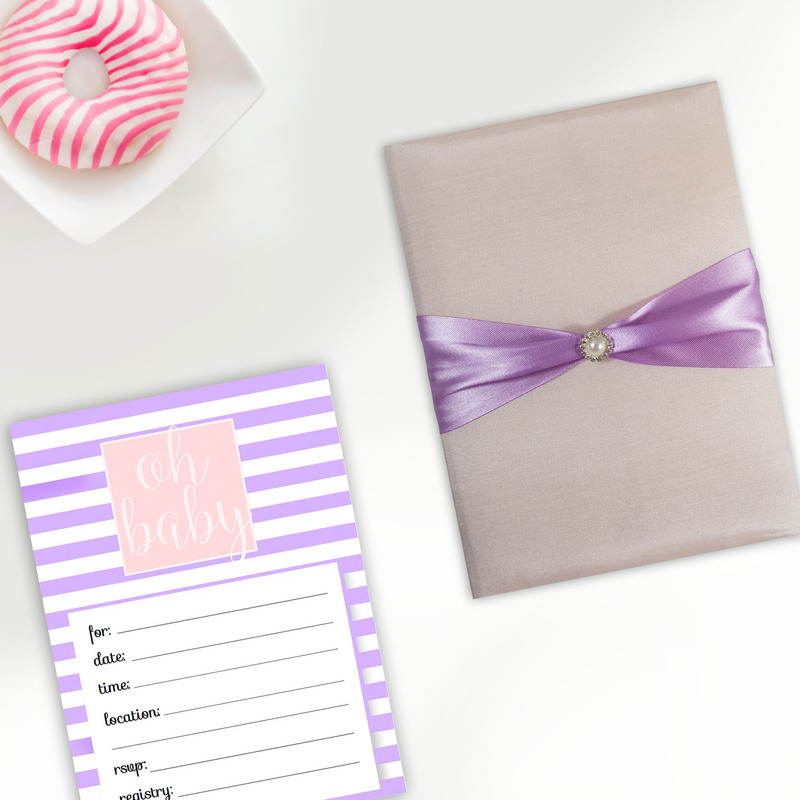 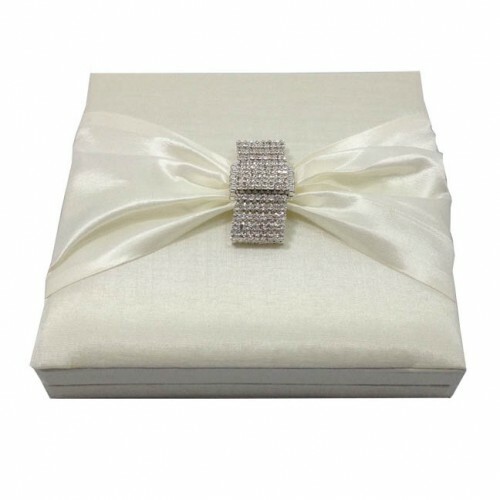 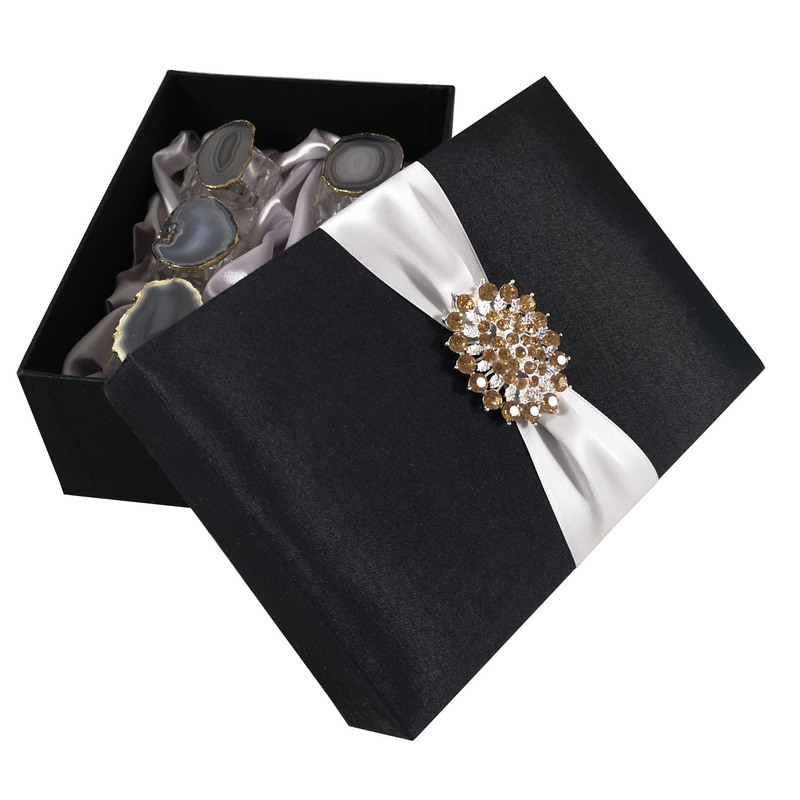 This special hinged lid wedding invitation box is shown in ivory with 4 inches wide dupioni silk ribbon and a stunning rhinestone brooch featyrung hundreds of little rhinestone crystal attached to it. 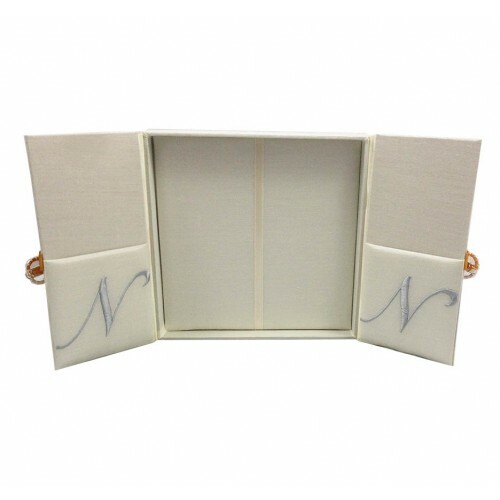 Unique and luxury, fully padded inside and outside the box. 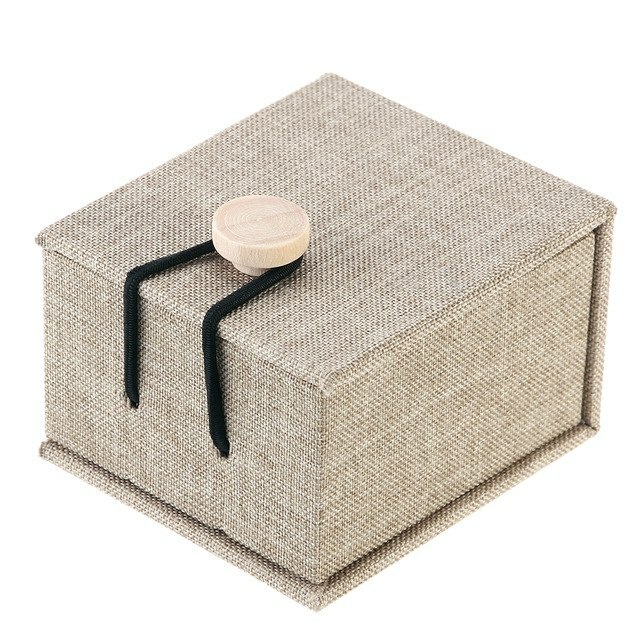 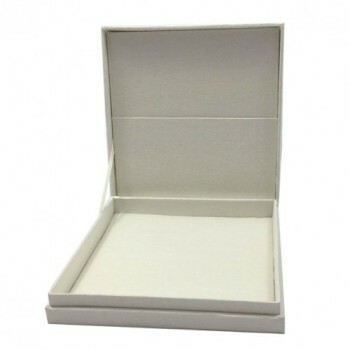 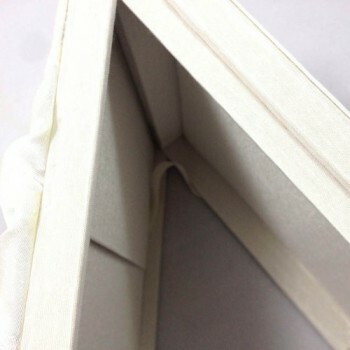 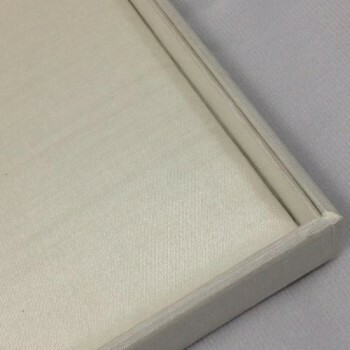 A pocket was placed behind its lid inside the box. 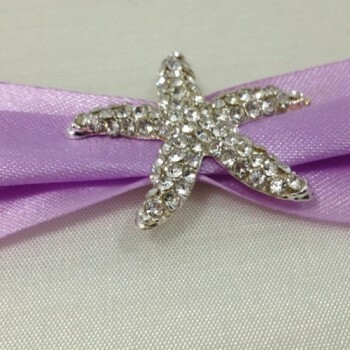 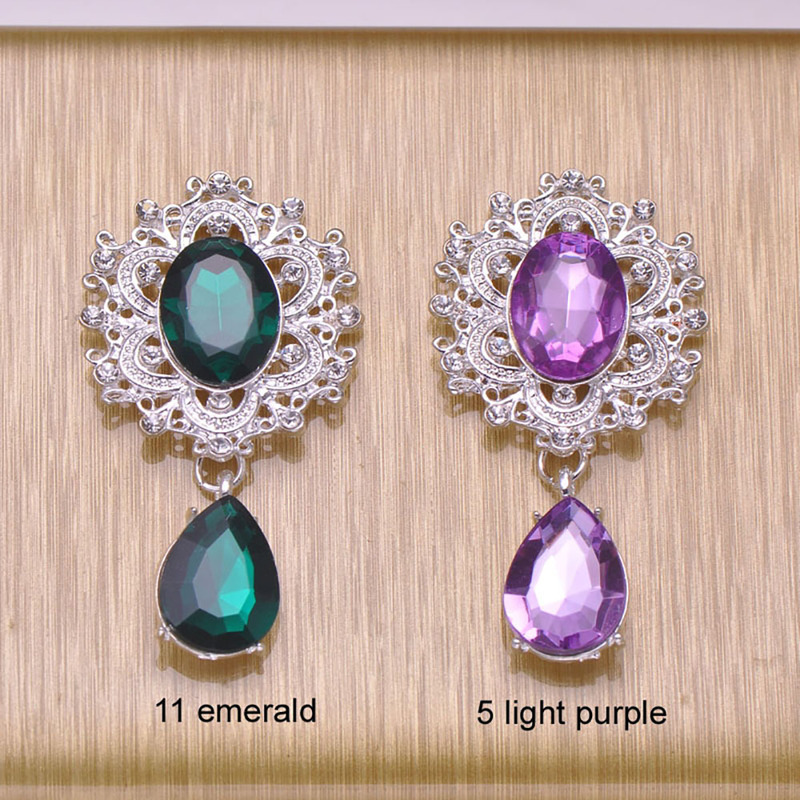 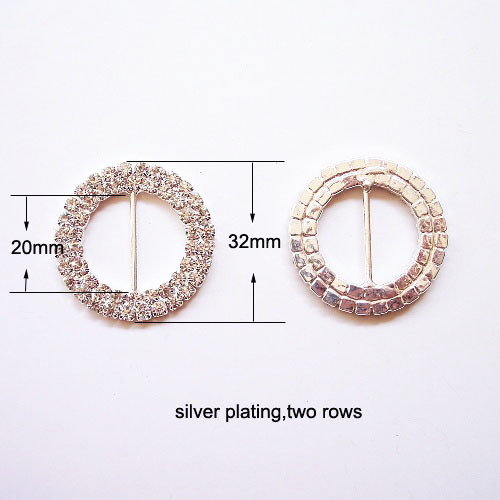 Designed and manufactured in our workshop in Thailand.